MB-1 Bundle, Batch - Standard Range Linear CCD Scanner - 3200 mAh Battery - Pre-loaded AT Suite Data Collection Software - 24 key Alphanumeric Keypad - Includes Wall charger and USB Cable for communication and charging. Service Contracts, 3-year service contract, MB-1. Covers failure as a result of normal wear and tear, and firmware upgrades. 4 business-day turnaround. Standard return freight (FedEx ground) included. Service Contracts, 3-year plus service contract, MB-1. Covers failure as a result of normal wear and tear, firmware upgrades, and failure of external components regardless of fault. Generally this includes the case, LCD displays, keypads, overlays, lenses, and exposed connectors. 4 business-day turnaround. Standard return freight (FedEx ground) included. MB-1 Service Contract, 1-year plus service contract, MB-1. Covers failure as a result of normal wear and tear, firmware upgrades, and failure of external components regardless of fault. 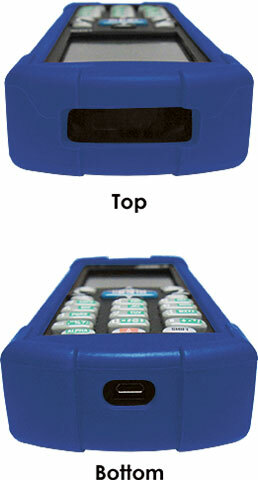 Generally this includes the case, LCD displays, keypads, overlays, lenses, and exposed connectors. 4 business-day turnaround. Standard return freight (FedEx ground) included.